In the world of fashion, Christmas had just ended. From Sept. 4 to 11, New York hosted their annual Fashion Week. Different designers showcase their upcoming spring and summer designs. Out of all the brands, these were some of the top must-see fashion shows(entertainment and fashion wise). Rebecca Minkoff Spring 2015 collection was presented on Sept. 5. The collection included floppy hats, chiffon dresses and studded accessories. Ms. Minkoff’s collection had a girlie style to it. Not only was there a live performance from a Brooklyn-based band Little Daylight, but also the ending of the show had a 3-D twist. The last five designs were made with a 3-D print so when the glasses were on, the piece popped out, literally. Mark and Estel were one of the first designers to show their collection on Sept. 5. The latest spring and summer collection, “The Malibu Anthem”, was inspired by the designers’ hometown, Malibu, California. The clothing had a sophisticated, edgy and girlie style. Almost every piece included black, white or gray in it. They also incorporated dark colored hats. In the end, the designers (who are also musicians) gave a live performance. “ We love fashion. You are fashion. We love you forever,” they ended with. The revealing of Betsey Johnson’s Spring 2015 collection was quite unique. 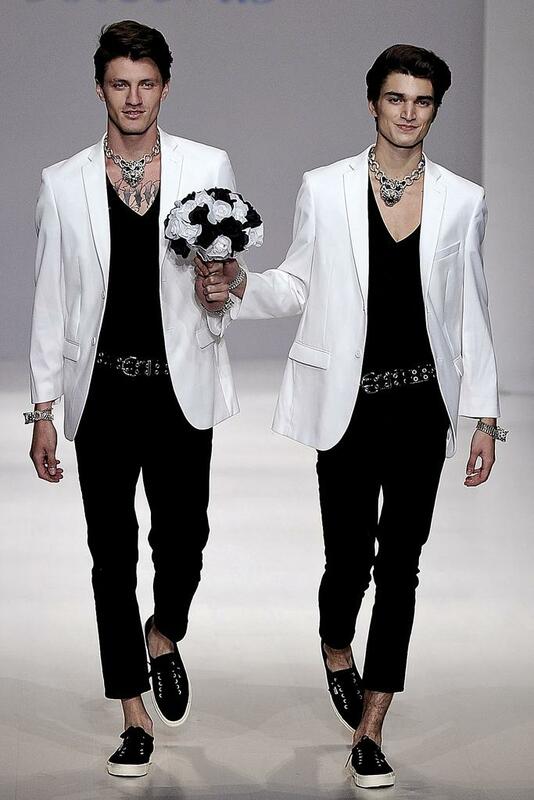 On Sept. 10 ,the couturier’s show opened with two male models walking down the runway holding onto a bouquet of flowers. The theme was celebrating marriage freedom. The collection consisted of colorful designs with shiny accessories. “The Real Housewives of Beverly Hills” star, Camille Grammar and “RuPaul’s Drag Race”, William Belli were spotted on the catwalk. In the end, Ms. Johnson did her traditional cartwheel and splits with one of the flower girls, who was her granddaughter. 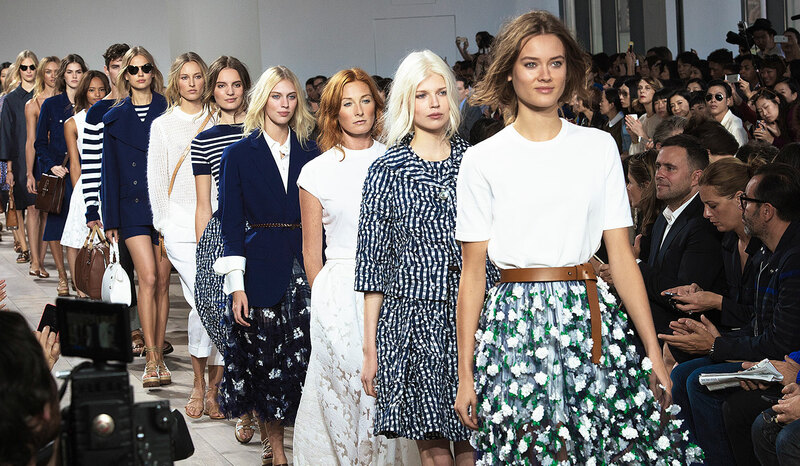 On Sept. 10, Michael Kors showcased his Spring 2015 collection. He incorporated fun feminine flower prints. The outfits included bright colors and simple looks, like a white collar t-shirt. Throughout the show, guests saw A-line dresses and embroidered skirts. According to the designer the clothes are supposed to represent “optimistic chic”. Diane von Furstenberg Spring 2015 collection premiered Sunday. The show had many familiar faces including Kendall Jenner, Candice Swanepoel and Naomi Campbell. The supermodels rocked different urban, yet elegant outfits. Ms. von Furstenberg’s collection had many vibrant colors and crop tops. The main patterns were stripes and flower prints. “I was on a boat in the Mediterranean this summer, and that is very much the mood of the show,” said Ms. von Furstenberg during an interview for The New York Times. Fashion and Technology: do they really mix? We think so. Hi, I’m not sure about other blogs, since ours is apart of Arizona State University, however, social media is a great way to find those types of websites. There is one called FashionToFitYou on Twitter that has really good content as well!